Semblance, referring to a semblance of permanence, explores the never-ending physical changes of the world from some of its most fleeting moments to some of its longest. 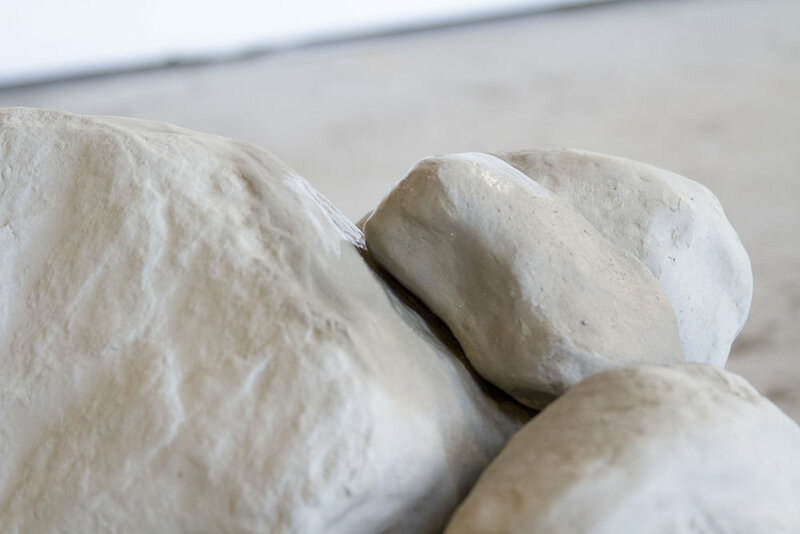 Through the use of ephemeral materials including hand-built clay rocks, unfixed gelatin silver prints, and the fundamental qualities of water and light to transform these materials, the show will continue to change as the exhibition continues. Over time, light will cause the photographs to darken and to change hue and, in a similar way, water will return the clay to slurry. Waves and rocks are two of the most universal and often unnoticed markers of time—they are both fundamental and elemental—and time for a rock and time for a wave are vastly different from that of time for a human. 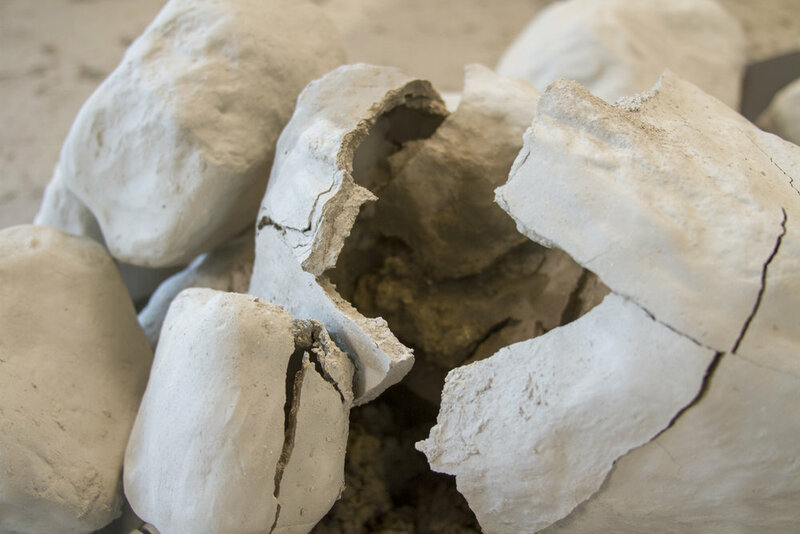 This work serves as a metaphoric bridge between these time scales, highlighting the natural processes that will outlast the lives of man. How different would our outlook on the world be if we could imagine the time scale of water eroding rocks or the infinite amount and variety of wave patterns beating against the shoreline of a body of water? How would that change our interactions with the world? With each other?